Barrett Brown, a journalist formerly served as an unofficial spokesman for the hacktivist collective Anonymous, was sentenced Thursday to over five years in prison, after pleading guilty to federal charges of "transmitting a threat in interstate commerce," "for interfering with the execution of a search warrant," and to being "accessory after the fact in the unauthorized access to a protected computer." 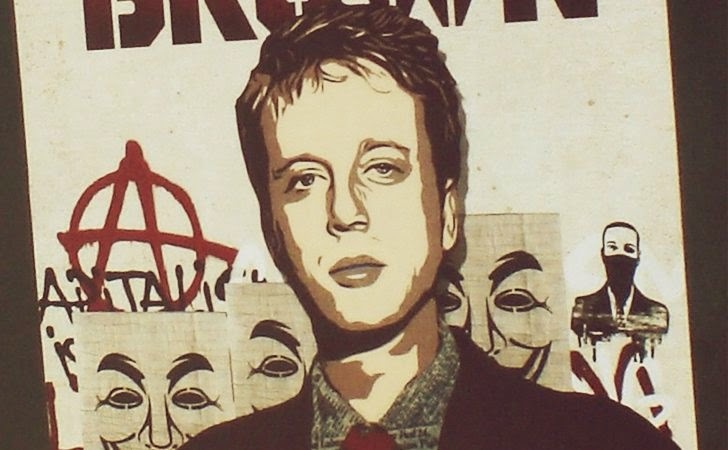 After already having served over 2 years (31 months) in detention, Texas court in Dallas has sentenced Barrett Brown to 63 months in federal prison and also ordered him to pay a little more than $890,000 in restitution and fines related to the 2011 hack of Stratfor Global Intelligence. Over a year ago, another federal judge sentenced Anonymous member Jeremy Hammond to 10 years in prison for making millions of emails from the servers of security firm Stratfor public. It’s Hammond who said that Brown simply linked to the hacked data. Brown was arrested in 2012 and nailed with 12 cyber crime charges, including a fraud charge for spreading around the hyperlink to an IRC (Internet Relay Chat) channel where Anonymous members were distributing stolen information from the hack, including credit card details. However, nearly all of those charges were later dropped and replaced with three more centered upon acting as an accessory to hacking charges, obstruction of justice and allegedly threatening an FBI agent in a video posted to YouTube. Brown's 2012 arrest came just hours after he posted a YouTube video called "Why I'm Going to Destroy FBI Agent Robert Smith." For count 1 in the case, he receives 48 months in prison. For count 2, he receives 12 months in prison. For count 3, he receives 3 months in prison. He is also ordered to pay $890,000 in restitution. Brown’s supporters from across the web had been hoping he would be able to get off with his last 31 months of time he spend in federal prison for what they insist was "merely linking to hacked material". Instead he got more along with a little huge amount in fine. In a sentencing statement, Brown described the Stratfor hack and the shared link as still central to the government's motives in the case. "The fact that the government has still asked you to punish me for that link is proof, if any more were needed, that those of us who advocate against secrecy are to be pursued without regard for the rule of law, or even common decency," Brown told the judge. The US Government decided today that because I did such a good job investigating the cyber-industrial complex, they're now going to send me to investigate the prison-industrial complex. For the next 35 months, I'll be provided with free food, clothes, and housing as I seek to expose wrongdoing by Bureau of Prisons officials and staff and otherwise report on news and culture in the world's greatest prison system. I want to thank the Department of Justice for having put so much time and energy into advocating on my behalf; rather than holding a grudge against me for the two years of work I put into bringing attention to a DOJ-linked campaign to harass and discredit journalists like Glenn Greenwald, the agency instead labored tirelessly to ensure that I received this very prestigious assignment.